Not to be too pedantic ... the E-330's cousins L1 and Digilux 3 sort of count as more of the evolutionary dead end that was the side-swinging dSLR majesty that the E-300 started. I will add that the lack of a prism hump makes these a bit more portable than most dSLRs and coupled with the good-enough 25/2.8 pancake, a nice walkaround camera. I've seen the Konica Hexanon 40/1.8 adapted for them too but I'd be hesitant to use manual focus on these guys without an eyepiece magnifier; for some reason the E-1 and E-3 viewfinders work very well for manual focus where the L1 does not. dearj, you certainly have a point about the Panasonic and Leica siblings as they were pretty much abandoned right from the start. But it's Panasonic, not Olympus, that created the "solution looking for a problem" (dpreview.com) Live View techniques that rule the world today. 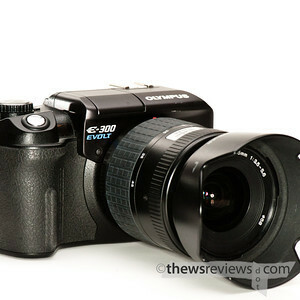 I have to admire the L1 and Digilux3 as groundbreaking cameras, even if they did come to market after the E-330. I wonder if any other brand starts discussions about which camera was more of a dead end? It feels like a typically 4/3 thing to do. The flat top plate is indeed awesome for being much to get in and out of a camera bag, and really does lower the profile of the camera. I'm wanting to say that I wish Olympus had kept up the efforts on this style, but of course its echoes remain in the digital Pen line. 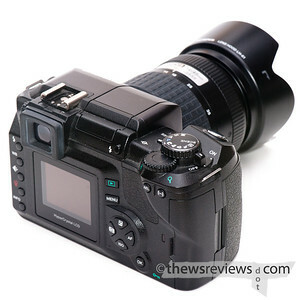 The Sony NEX-7 even retains the same eye-level viewfinder position as the E-300/330. MILFs and tree rings--Review Gold, my friend. 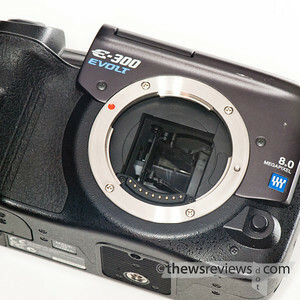 Main advantage of E-500 and E-300 is that they pack Kodak 8 mpix sensor. With good lens and good light, they are amazing (kinda truth about E-1 too, just 3 mpix less). Really shame what happened to Kodak, they made best CCD sensors ever. And maybe best sensors ever.. (if you dont need high ISO). While I never quite got on with the E-300, the Kodak sensor in my E-1 really can sing. I'm hoping that the firm the equity company has created, Truesense Imaging, will continue to be a leader. Interestingly enough, the KAF-8300 CCD used in the E-300 is still listed as a currently available product on http://www.kodak.com/ek/US/en/Image_Sensor_Solutions/Products/Full_Frame_CCD.htm (until Truesense get their own site fully operational). There's an interesting 2003 Application Note on http://www.kodak.com/ek/US/en/KODAK_Image_Sensor_Solutions_-_KAF-8300.htm that details some of the design considerations for the 4/3rds format sensors in still photography.